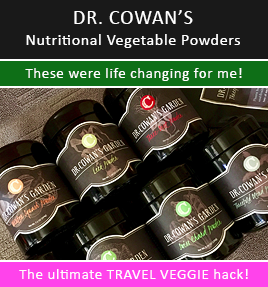 I’m fascinated with making gummies, using my own healthy ingredients, because they’re an excellent (and fun!) vehicle for getting extra nutrition in my daughter’s body (and, really, the whole family). 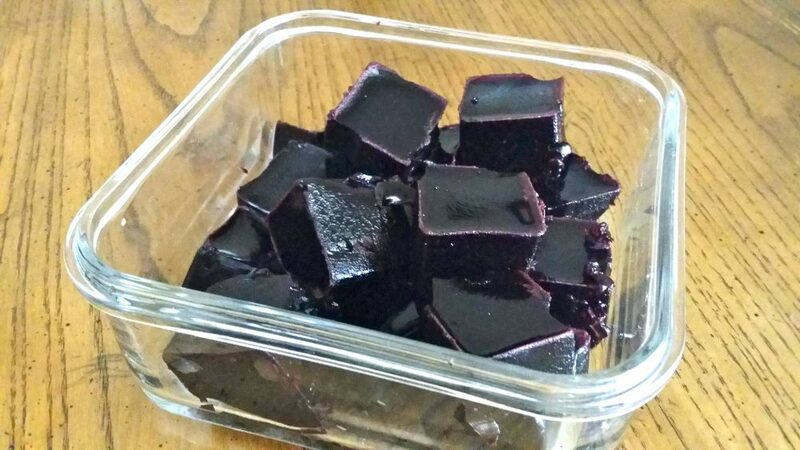 Now that there is a reputable source that I trust for collagen/gelatin, I make them regularly. 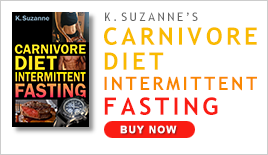 You all know I’m a fan of Dave Asprey’s Upgraded products – I use most of them regularly in my life. Bulletproof Coffee, anyone? He recently came out with a collagen that has gelatin in it for making gummies and other delicious foods like chocolate pudding. I’m a fan. 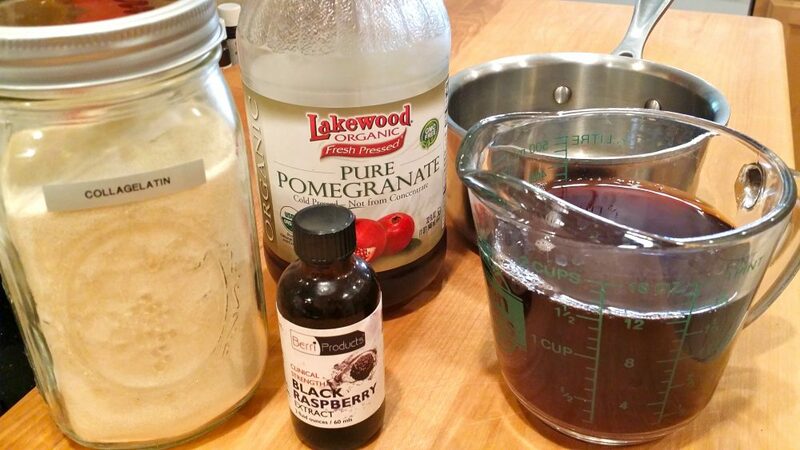 I knew immediately how I wanted to make my gummies… with organic pomegranate juice and black raspberry extract. Why those two specific ingredients? But, via a fun gummy? Heck yes it’s a treat. I don’t even sweeten them (though you can). Yield: 15 to 30 servings depending on size. 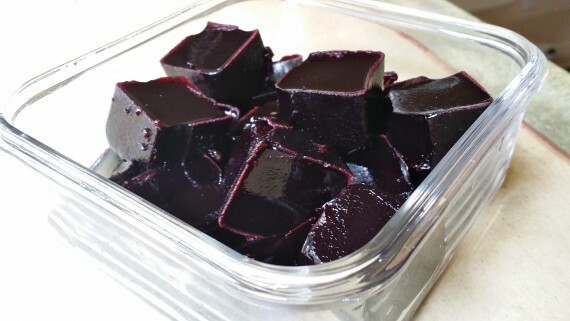 In a small pan, add juice, collagelatin and black raspberry extract. Whisk to incorporate. 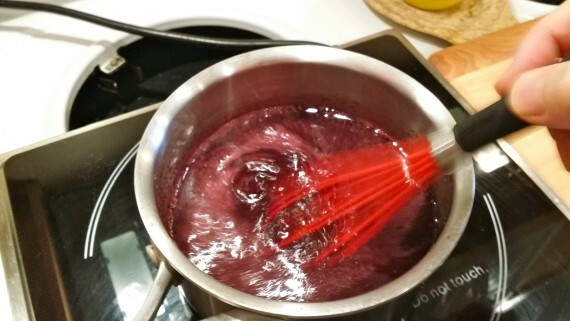 Use low heat to heat slightly, until gelatin is dissolved (about 5 minutes), whisking as needed during this time. In my attempt to make my post exciting, I included an action shot. You’re welcome. 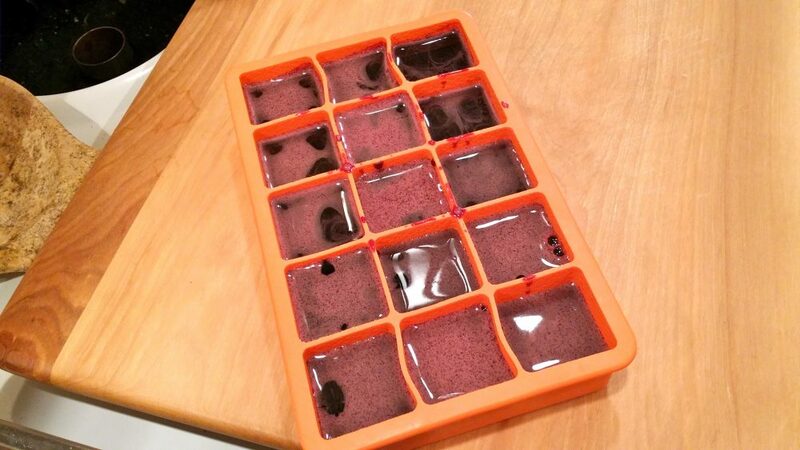 Pour into molds (or a small glass dish oiled with coconut oil to which you’ll cut out shapes later). Just poured into the molds. Put them in the refrigerator until firm (a couple of hours). Pop out of molds and cut in half if desired. 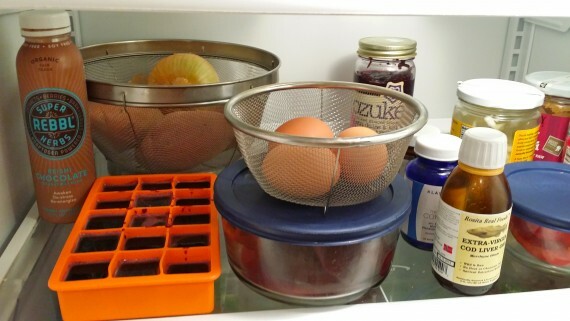 Store in the refrigerator for 7 to 10 days, in airtight container. I also love these freeze-dried black raspberries for yogurt and snacking. *Note: I’m using the “CollaGelatin” (for the gummies), not the plain ol’ collagen (which I use in my coffee).